2019: some greeted this year with a glass of bubbly and some are dreading it, and I suppose many consider the holiday we call New Year’s just another day. Our calendar, after all, is an only an artifice whose meaning we agree to, and while it’s used in human affairs out of consistency and convenience, it’s not the only way that people mark time. Our ancestors were arguably more aware of their interconnectedness with the earth, and for many cultures the year began at seeding or harvest time. Ancient Egyptian and Persian calendars followed the stars and phases of the moon. Some still do. The Chinese calendar tracks the year’s moons, and in 2019 the changing of the year is celebrated in mid-February. One of the oldest calendars in the world is also the most accurate. The Persians used astronomical measurements, not calculations, and its year starts on spring equinox. I’m more inclined to consider winter solstice the beginning of the year. I could just as easily anoint an equinox, my birthday, or summer solstice, but summer feels like the middle of things, not a beginning or an ending. In 2018 winter came at a quiet mid-afternoon moment on a frosty December day. No fireworks, no parades. The return of light was enough. We no longer build stone monuments or hold festivals in honor of winter solstice, though the amount of food and drink we consume during the holidays, and the New Year’s resolutions that follow, might fairly be compared to the excess the ancients indulged in when they gathered for solstice feasting at Stonehenge. Our culture is informed by science, and some might be tempted to scoff and the practices of our ancestors. But as the Persian calendar demonstrates, our forebears were not ignorant of science and their use of it was practical every day. Today we are re-enchanted by the images brought forth in a recent 50-year anniversary documentary about the Apollo 8 mission. 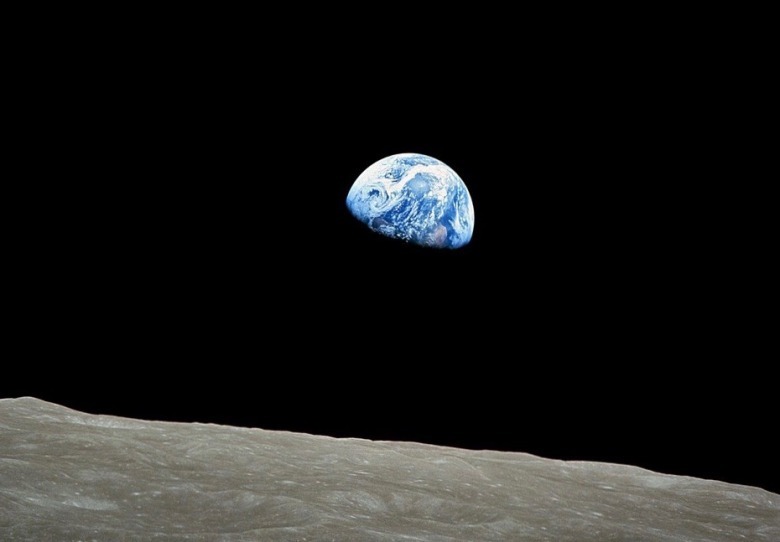 That stunning photograph of Earthrise from the far side of the moon, that emerald and lapis jewel that we call home. We were amazed at the glimpses of a 20-mile frozen object four billion miles from earth, it too revolving around our sun. Ultima thule, the farthest one, appropriately resembling a snowman. The earth and solar system and universe remain full of marvels, and the more we learn about them the more wonders they reveal. I once participated in an exercise that seemed on its surface to have nothing to do with the topic of the class I’d signed up for—wolf biology. Our assignment: rise from our bunks while it was still pitch black, walk in silence along a wooded trail and find a place to sit alone. We were there to attend the dawn. Okay, I thought—this sounds like fun. I had spent many nights in the wilderness where I often woke early, snug in my sleeping bag while the stars wheeled overhead and forms of trees and boulders slowly resolved around me. But this exercise was meant to be intentional in a way I hadn’t considered. 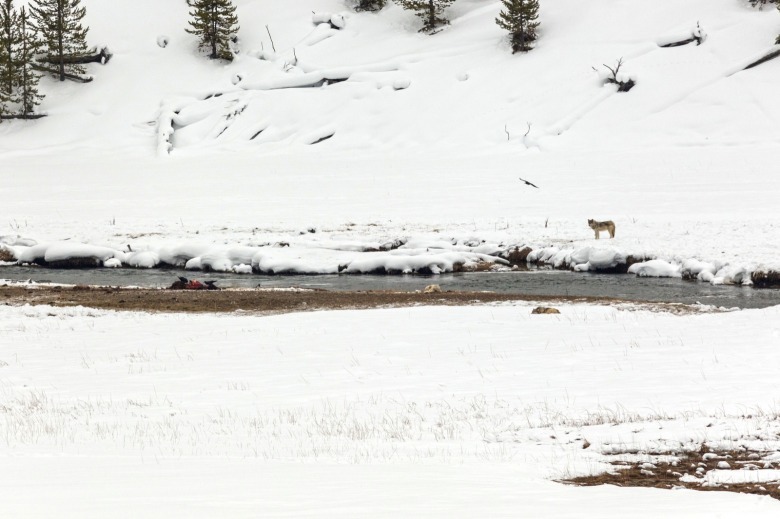 I walked to a patch of dry sand beside the Snake River, surprising a dozen elk. Their rustling startled me until I realized what they were. Sorry, I stage-whispered. 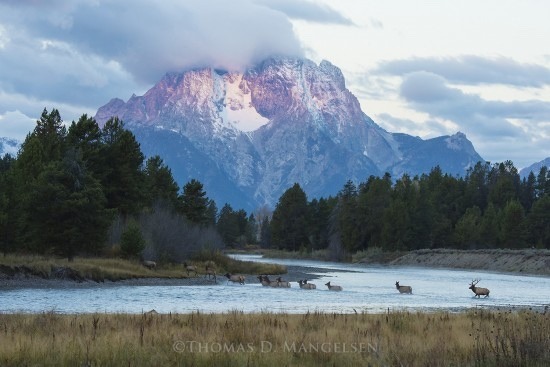 In Grand Teton National park the elk were used to having people around, but not at 4:30 in the morning. And I wasn’t used to wandering through the willows at this time of day. I sat on a patch of sand and gathered my jacket around me. In late July the current of the Snake River was slack and hardly made a sound as its waters flowed past. The elk had gone, the birds remained in their roosts. I felt like the only ticket-holder in an empty concert hall, waiting for the music to begin. For a while I squirmed restlessly, uncomfortable in my cool sand seat, the pre-dawn chill, and the lack of anything to look at or listen to. I’d brought a notebook with me but couldn’t use it in the darkness. I had been puzzled and intrigued when given this assignment, which had originally come from something the Minnesota writer and professor Paul Gruchow asked his students to perform with him. But the reality tried my patience. I wasn’t attending dawn as much as waiting for it, and it took forever for light to seep into the sky. Resigned to my inability to record what was going on, I put the notebook down and allowed myself to actually be there without the distraction of paper and pen. I stopped watching and listening and simply sat beside the river. It occurs to me now that the elk were doing the same thing before I interrupted. I imagine them resting while remaining alert, a state that comes naturally to wild creatures. It is what allowed them to jump up and slip away before I realized they were there. After settling into a state of relaxed attention I considered myself fully present, aware of all that was around me. A throat-clear from a fellow class participant skipped across the surface of the river. The slightest of breezes lifted the hairs on my cheek. All the sudden, as quickly as the elk had disappeared, there was light. Black shifted into dim gray, the outline of a forested ridge on the far side of the river snapped into view. Was I witnessing the dawn, or had I missed it? The elk didn’t miss it. A hundred yards upstream they splashed into the river for a morning drink. Deciding that, unlike the solstices, daybreak consisted of more than a moment, I began watching and listening again. Notebook in lap, I recorded the first raven flapping between spruces on the far side of the river, the scent of still water beside me. How the growing light affected me, the profundity I was meant to be feeling. A started to write a poem. It didn’t take long for me to put my notebook away. It was full daylight before I picked it up again. Knowing we were about to assemble for the last segment of the class, I jotted some quick notes, no longer searching for deep meaning. I had paid close attention that summer morning, the best attention I could, given my native restlessness, my need to always be doing something—even writing in a notebook—and my mind wandering off every which way. I could take a blanket onto my back deck every morning, and not have to get up at 4:30 if I chose to do it later in the year, or in early spring. I make a habit of sitting outside with my morning cup of coffee but by the time I close the door behind me and step onto the deck, the traffic has begun and the birds have been singing for an hour, starting with the white-crowned sparrow which doesn’t wait for first light, followed by the robins, kinglets, and finches. As usual, I’m late. When Paul Gruchow led his students outside into the dark, he didn’t tell them why. He only said that what they were about to do would change their lives. It’s been a decade and a half since I sat beside the Snake attending the dawn. Did it change my life? A period of about an hour and a half that took place fifteen years ago remains vivid in my memory, and although I remain restless, impatient, and in need of something to do most of the time, it feels important that my memory clings to it. An hour of terror coming off a mountain in a thunderstorm might well endure in one’s memory, but an hour of doing absolutely nothing? It left a more indelible print. Dawn and the winter solstice are entwined in my mind. Both mark the sun’s return, something people have celebrated for millennia. Both are moments for gratitude. Before the word scienceentered our vocabulary we knew enough about the sun to honor it. Sun deities abound in cultures worldwide, both past and present, and for good reason: without the sun none of us would be here. Obvious enough, but how often do we pause to consider our good fortune? How often do we attend the miraculous of our existence, whether early in the morning or at high noon? When people first started growing plants to store through the lean months, they were well aware of their reliance on sun, and rain—not too much, not too little. They prayed to the gods to bring them a good harvest. Those who still run family farms must do the same, but for most of us our food comes from the grocery store. We take for granted that we can run down the street for a pint of half-and-half, and if the store has run out, we’re miffed. Spoiled children. Maybe this is why we need those New Year’s resolutions. In the western world we’ve replaced pagan feast days surrounding winter solstice with holidays like Christmas. Easter replaces the spring equinox or May Day, or something else that was once tied to our dependence on the earth. And centuries after shooing those whiffs of pantheism out of our past, we’ve even replaced our own religious holidays. “Let’s put the Christ back in Christmas,” we say. I mean no insult to the pious, for religious traditions from many ancient cultures continue today. But popular culture? Christmas and New Years are times of indulgence, consumerism, and excess. Perhaps we are not so different from the people who once traveled for weeks to reach Stonehenge in time to celebrate with mass livestock slaughter and feasting. It seems we will continue to be human, regardless of the rules we impose upon ourselves. However we make note of a new year or a new dawn, the turning of the calendar is a time of reflection, assessment, some form of summing up. For many this takes the shape ofNew Year’s resolutions. Get that book written or lose that stubborn five pounds. But setting goals too high or having too long a list of things we must improve upon each year is a recipe for failure and frustration. This year, this 2019 that will never come again, I resolve to be grateful. Grateful for my problems, first of all. The refrigerator is usually so full I can’t find the blueberry jam I want for my toast. This is something to be grateful for indeed – it means that I have plenty. What if my refrigerator was empty and I didn’t know what to feed my children? What if the fridge was turned off because I couldn‘t afford the power bill? We privileged ones take so much for granted. In 2019 I will get up early more often so I can truly attend the dawn. No notebooks, no expectations. I can write about it later, as I have just shown myself by writing today about a singular dawn that happened 15 years ago. That’s the kind of attention I want to pay. 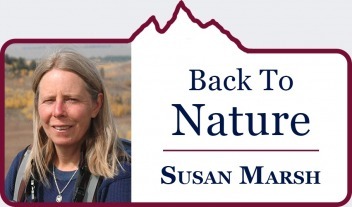 Susan Marsh spent three decades with the U.S. Forest Service and is today an award-winning writer living in Jackson Hole. Increase our impact by sharing this story.